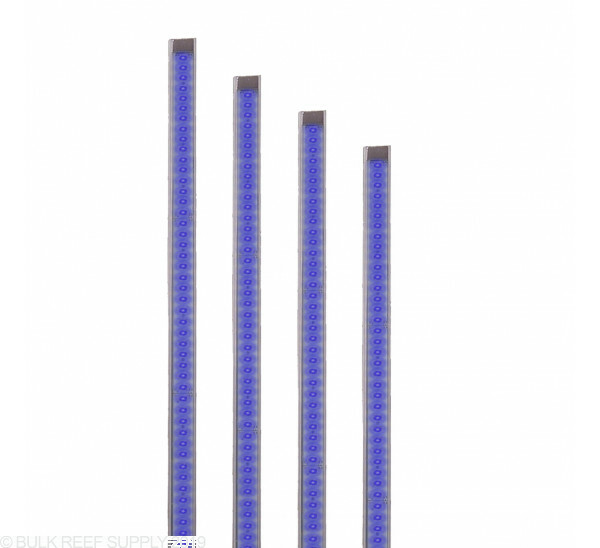 Lumi Lite Blue Actinic LED Strips are perfect for any tank that lacking that blue pop! Add one to your current light as an accent or use it as your main light source. High powered LEDs have been carefully selected to create a multi-spectrum actinic light has been designed to help bring out the fluorescence in corals, fish, and invertebrates. Actinic Blue - These have a deep blue spectrum around 420-440nm and produce brilliant fluorescence in corals. This light can be paired with any other Lumi Lites to bring out the pop in corals. White - A neutral white that produces great growth and shimmer. These on their own do not produce the best overall color for reef aquariums but when paired with a 50/50 or Actinic Blue Lumi Lites the color is sharp and approximately 20,000K. 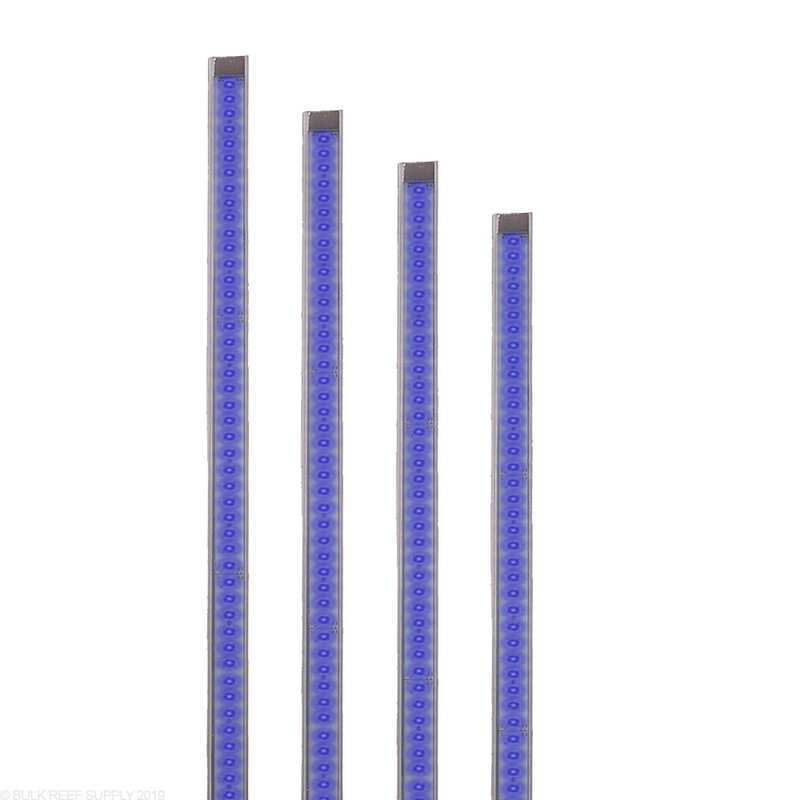 50/50 - An even blend of alternating Actinic Blue and White LEDs. We recommend pairing these with either 1 Actinic Blue or 1 Daylight White Lumi Lites LED. Lumi Lites can add that extra shimmer, and pop that you are looking for in your tank. Each Lumi Lite comes with mounting legs that will let you mount them directly to your tanks rim Add one to your current lighting system, or create your own custom lighting array. We do suggest using a small amount of velcro or double sided tape to secure the mounting legs.